We’ve had some rain early this week in the county. Most of it is in the east side of the county and some in Thomasville. Georgia Weather.net shows almost an inch in Dixie, and there has been over in inch near Thomasville the past few days. 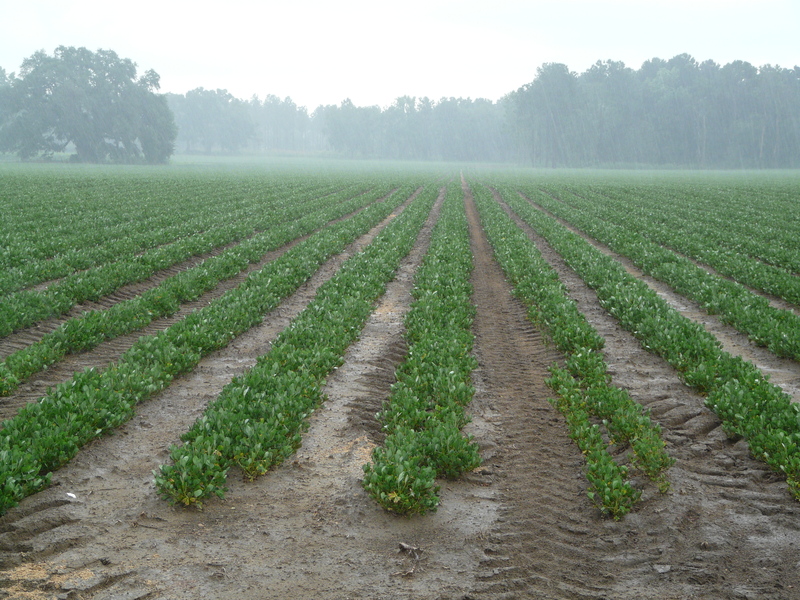 Above is a peanut field in Barwick with an afternoon shower. We were looking at cotton yesterday that is lodging at 9-10 leaves. It was also falling over before at around 4 leaves. Sometimes, there is a problem with herbicides and it leaves a swollen area of the stalk at the soil line. We did not have that here, it has simply been result of heavy wind and rain. 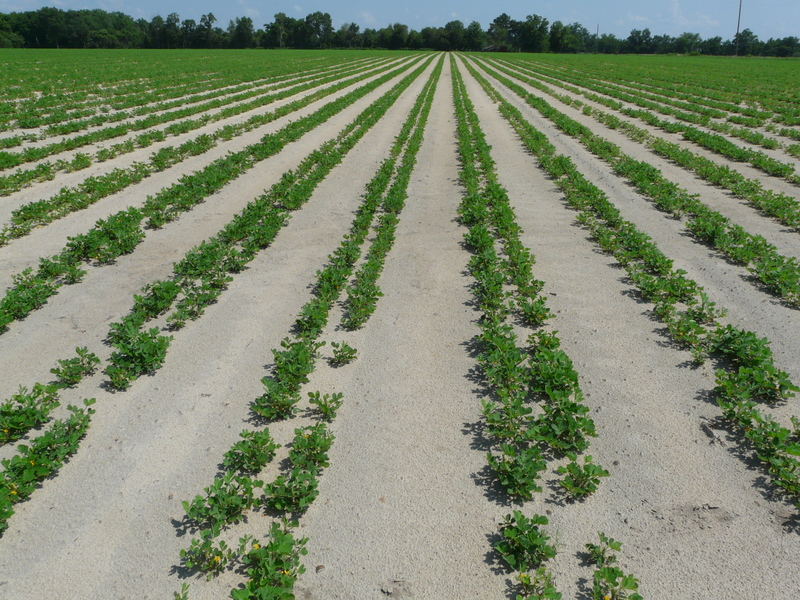 UGA Extension Cotton Agronomist, Dr. Guy Collins said for plants that are touching the ground, they may start growing back from the terminal. Most plants are not touching the ground, and it shouldn’t be a problem and nothing we can do regardless. It does not have anything to do with variety, its just heavy winds and rain. 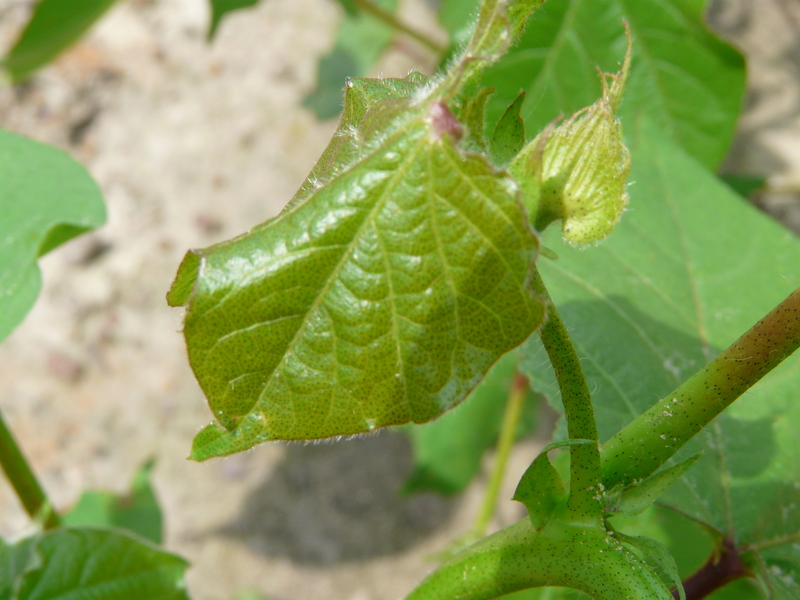 Aphids are rarely on seedling cotton, and this is because Neonic Seed Treatments are good on aphids. 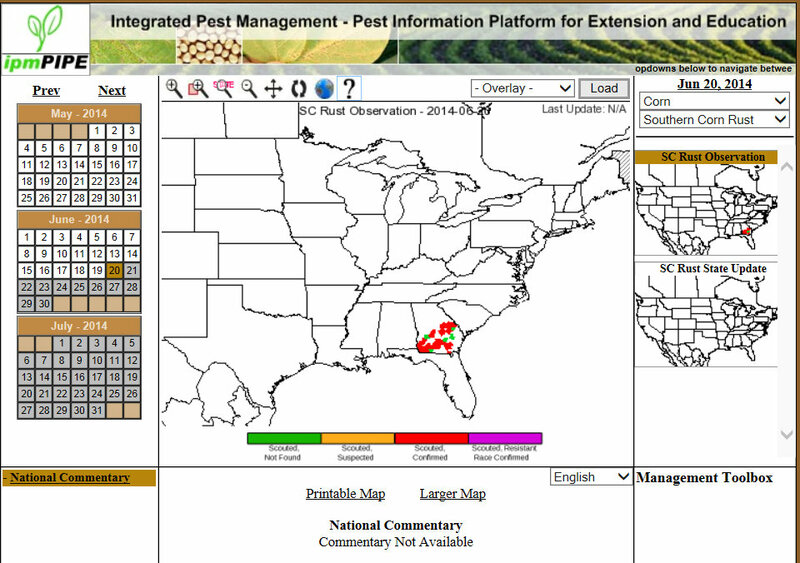 But in most years, UGA Extension Enotmologist, Dr. Phillip Roberts, says we will see them build to high numbers. So far there are no consistent yield response on aphid tests. There are very effective treatments however. The main thing we are looking for is the naturally occurring fungal epizootic that cause population to crash. It usually happens in later part of June or early July. We look for grey, fuzzy, aphid cadavers. Once we see these, Dr. Roberts says, the population will crash in next few days. 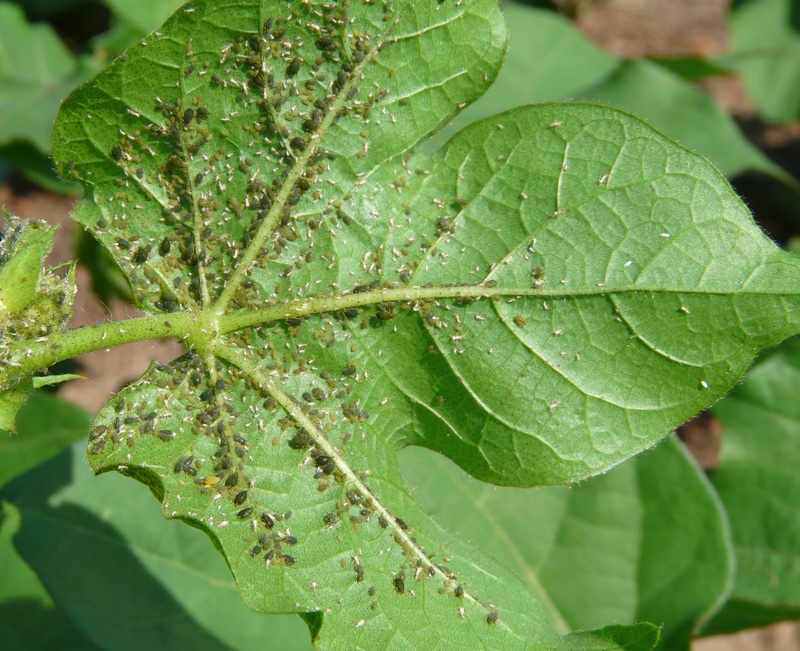 Below is a picture of some aphids. The white bugs here are just cast skins of the aphids. 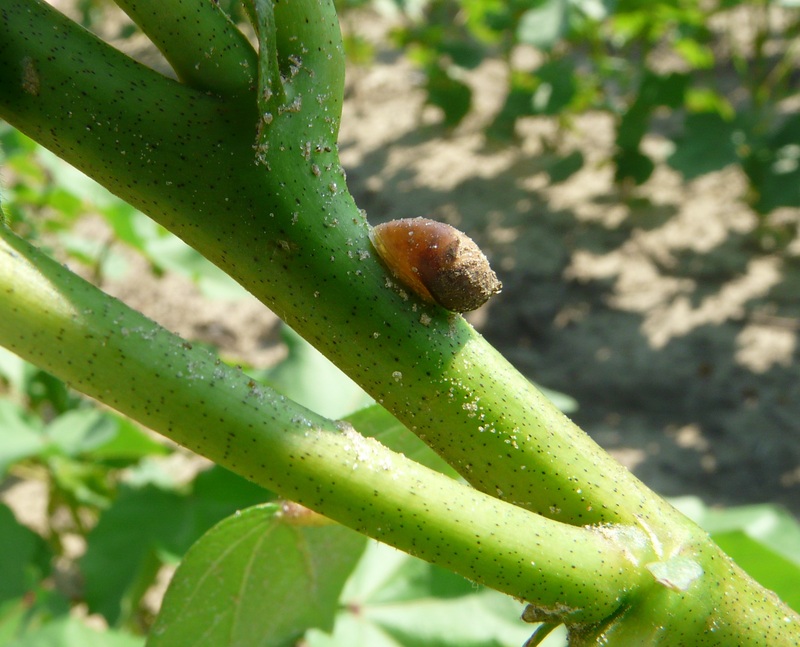 Michael Murray with Meherrin has also reported seeing snails seen on cotton plants. Here is one of a few we saw on a plant. Dr. Roberts says he has received a few calls about them this year also. Even though snails can sometimes be present in large numbers, they rarely cause economic injury. 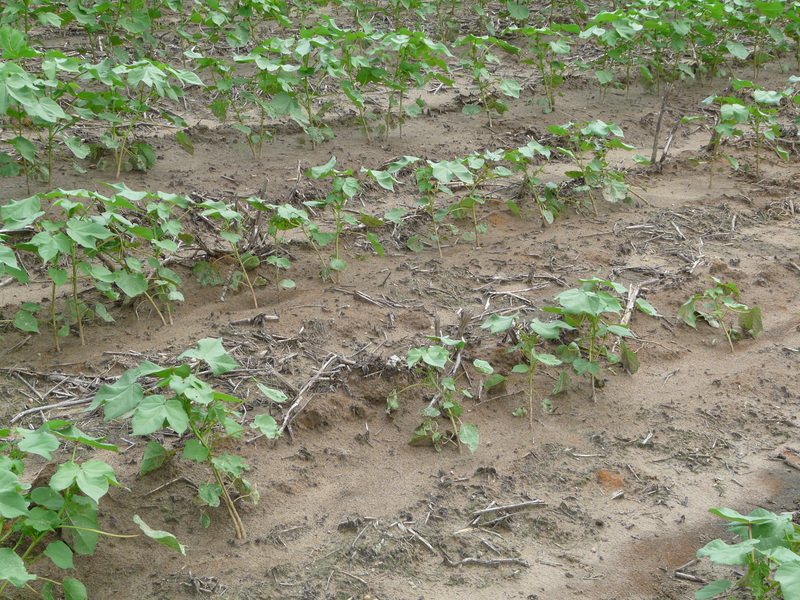 In contrast, many slugs will feed on cotton. They make odd-shaped holes, usually around the leaf margins. Severe feeding sometimes results in “cut plants,” similar to the damage caused by cutworms. One or two here and there is no problem at all, but 20 on a young plant – especially seedling – would be a concern. Here is some information on Slugs and Snails from UT Extension. Tarnished plant bugs are not a consistent pest in Georgia as they are in the Mid South. However, we will sometimes spray for them. Here are some fields where sprays have been done for plant bugs. We still want to do retention counts and check for damage. 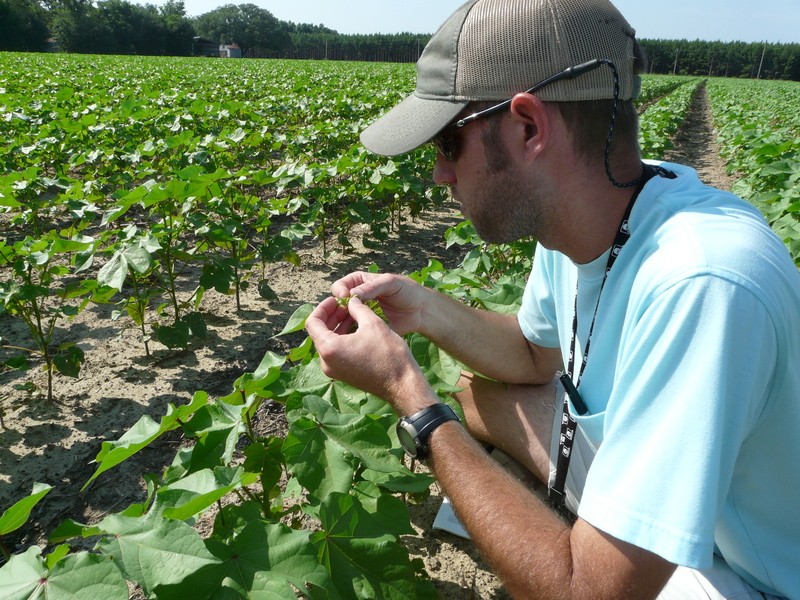 Cotton scout, Andrew Taylor has come across some retention counts below 80% and was showing me evidence of plant bugs. Here is Andrew checking squares while scouting. The general treatment threshold for plant bugs is 80%. 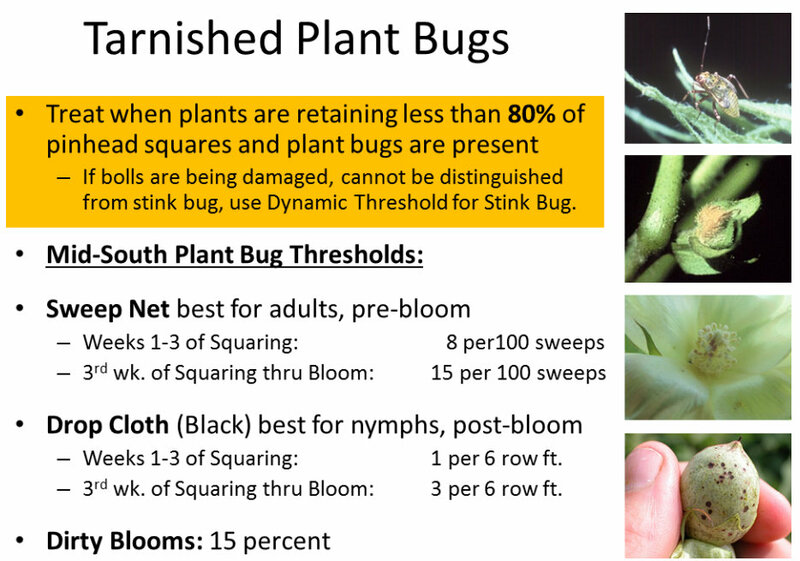 According to UGA Extension Entomologist, Dr. Phillip Roberts, we want our retention count to remain about 80% through 1st week of bloom. When checking squares, check at least the top three squares. You will notice a normal abscission proccess taking place on squares that were hit. They will turn yellow, then black (right), and then abort. It is good to still check all squares on some plants to note any major changes. Corn is really progressing. We’re past tassel in most fileds and through milk stage (R3) in this field. Looking at corn yesterday, I noticed some leaves with rust postules which later confirmed to be southern rust. Initially, it looked similar to common rust, which we do not worry about. But there were no postules on the back of the leaf (as with common rust). Plus, our hot temperatures are more conducive for southern corn rust. Sporadic afternoon and evening thunderstorms are likely to further move rust spores and also provide the moisture important for infection. I believe that this is the most significant threat of southern rust in Georgia in the past 10 years. Southern corn rust (SCR) reduces the photosynthetic capacity of infected leaves. 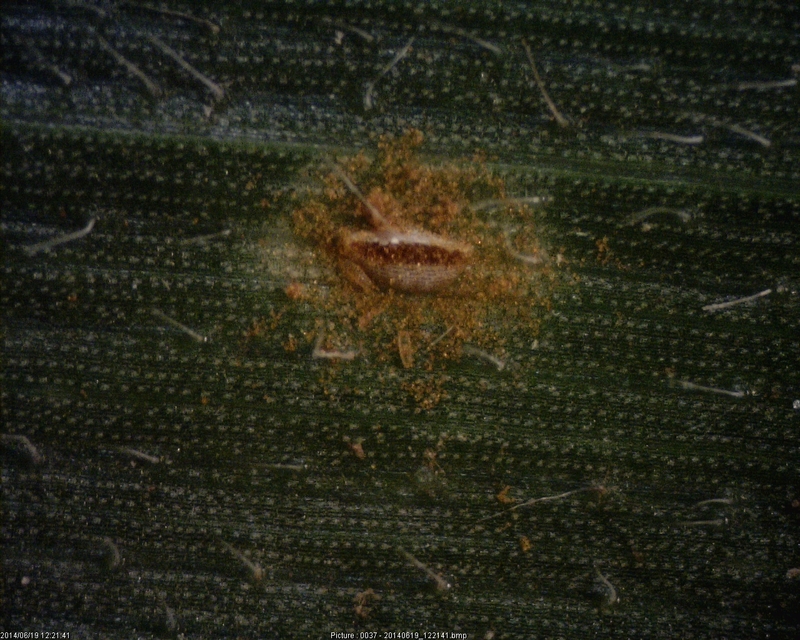 More importantly, a field where SCR is not controlled may develop extensive lodging problems as the stalk is cannibalized for nutrients to feed the ear. Dr. Dewey Lee and I agree that protecting a crop from rust though the dough stage (R4) is beneficial. I recommend that growers spray by tassel growth stage and then again 2-3 weeks later, depending on the product used in the first application. On corn where rust is a severe problem, we have seen fungicides protect 25+ bu/A. 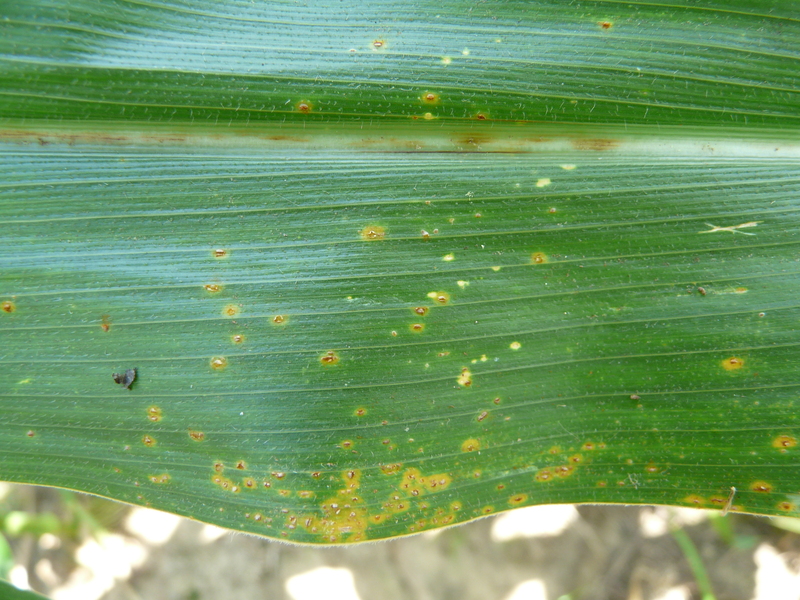 Southern corn rust has been on the move and covering many counties across the state. Here is the current map on its location: (http://scr.ipmpipe.org/). Here are some peanuts that are looking very good and now flowering. I also saw a few leaves with what appear to be early leaf spot showing up. We are now starting to think about our fungicide programs. 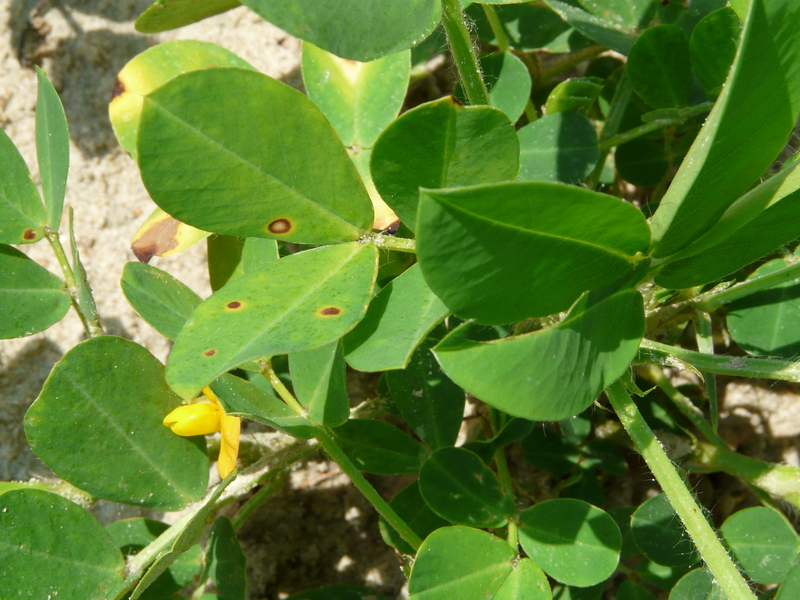 Mitchell County Agent, Andy Shirley, posted good information about spray schedules on his blog: Peanut Spray Schedules. 1. Current conditions (warm weather with developing afternoon thunderstorms) create favorable conditions for leaf spot diseases and white mold. 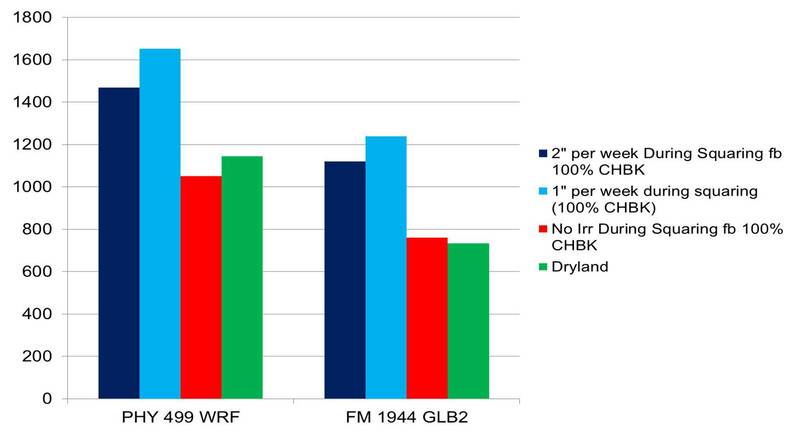 Consider using a strong leaf spot fungicide like “Headline” (9 fl oz/a, 45 days after planting) to initiate an excellent leaf spot program and to replace potentially 2 applications of chlorothalonil (30 and 44 days after planting). Reduce the rate of chlorothalonil used in a leaf spot applications by partnering with another fungicide. Examples include mixing chlorothalonil (1 pt/A) with Tilt (propiconazole, 2 fl oz/A) or Alto (cyproconazole, 5.5 fl oz/A) or Topsin-M (5 fl oz/A). Dr. Collins says regardless of variety, yield is reduced if we don’t irrigate during squaring. 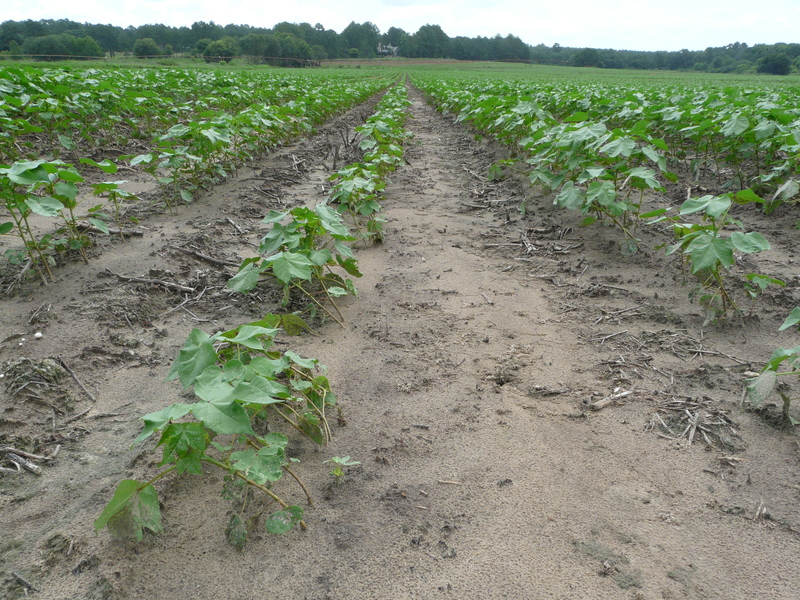 Also, we do not want to wait until cotton is wilting before we apply irrigation. 1 inch at prebloom is recommended over 2 inches. The best method of application is split-apply weekly rates. Instead of one inch of water one day each week, do 1/2 inch two times during the week. We are little behind in nut development, but are likely to move in the period of rapid nut sizing stage in the next few weeks. 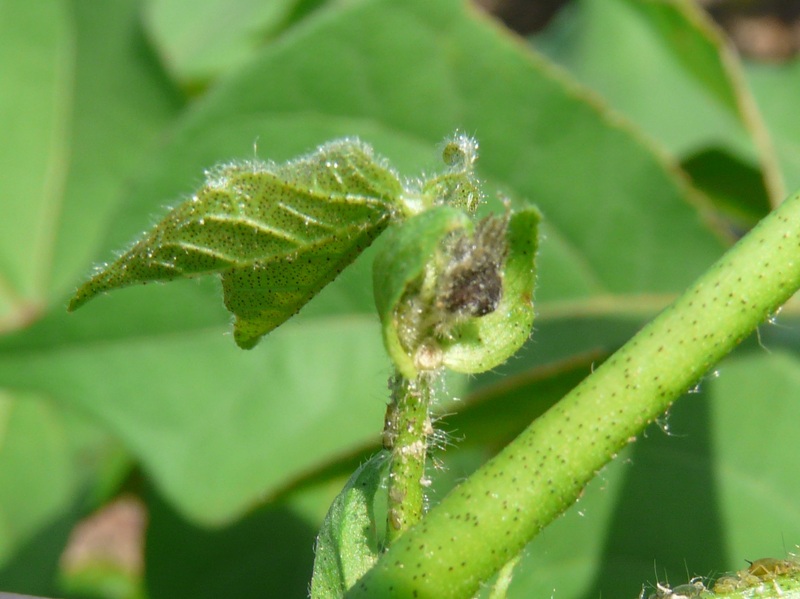 With our scab fungicide programs ongoing, UGA Extension Pathologist, Dr. Tim Brenneman’s fungicide results reveal that adding a surfactant to the DMI/Strobilurin mix fungicide products like Absolute significantly reduce the incidence and severity of leaf scab over the fungicide alone. 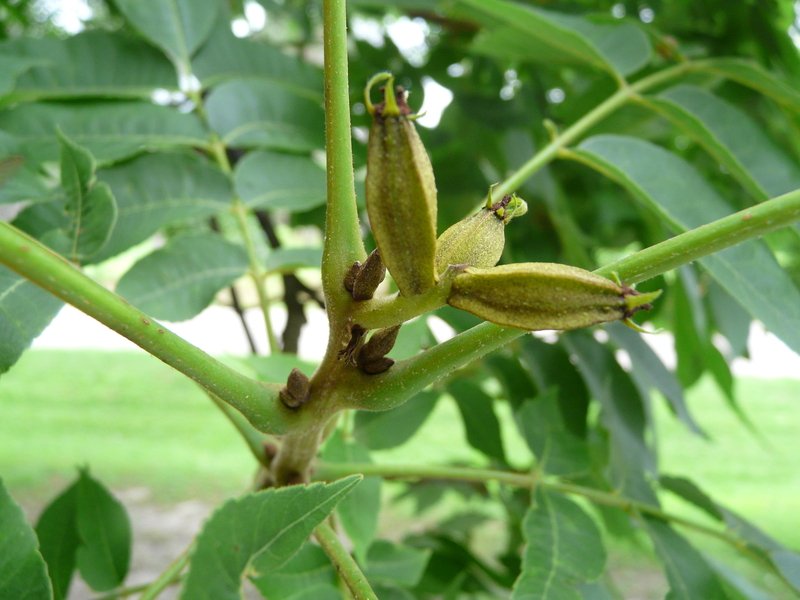 UGA Extension Pecan Horticulturalist, Dr. Lenny Wells, says similar results are expected with the effect on nut scab. Dr. Brenneman used a 90/10 surfactant but expects the same results could be obtained with an 80/20 surfactant. 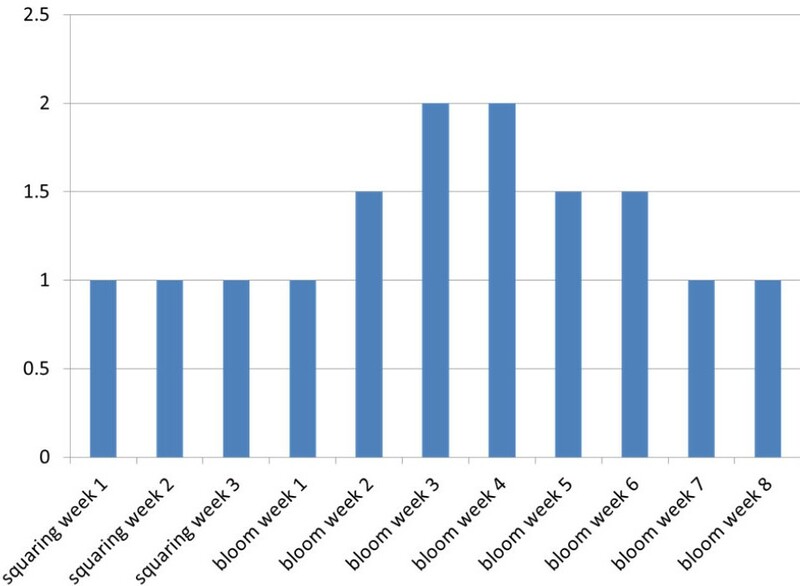 Also, similar results would be expected with the other DMI/Strobi mix fungicides like Quadris Top and Quilt. The inclusion of a surfactant with DMI’s like Enable, Tebuconazole, Orbit, Propimax or Bumper mixed with Tin would likely be of benefit as well. Be sure to jar test for compatibility when using any new tank mix. With the at least temporary shortage of Elast, this provides us with another good tool to fight scab. DO NOT ADD A SURFACTANT WHEN USING ELAST due to the increased risk for burn.